Why are we introducing new products when the 3-in-1 3D Printer is not yet delivered? The big idea of the platform dates back to the time when we were designing the 3-in-1 3D Printer. 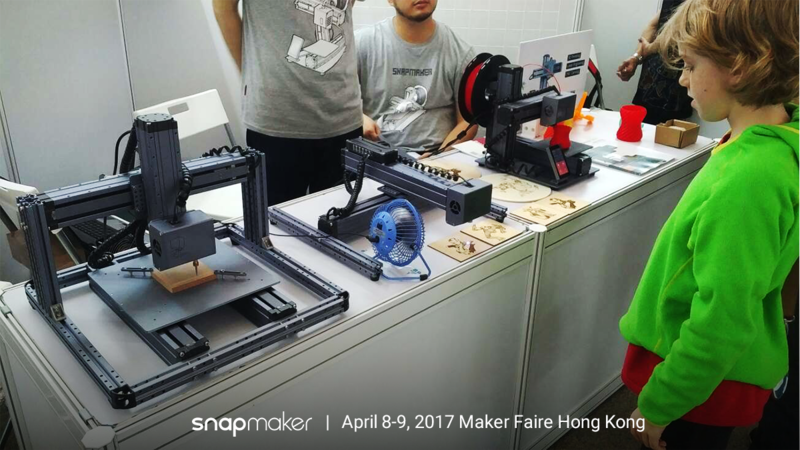 We have shown the initial prototypes in Maker Faire in early April 2017. That is, it doesn’t take us too much time to build the prototypes and show them to you. Most of the productivity is still on producing the 3-in-1 3D printers and production is not affected at all. Backers not only backed our 3-in-1 3D printer, they also backed our company. In return, we want all of you to know that we want to be sustainable, we want to be creative, we want to be strong. We want you to know you made a correct decision. That’s another reason why we introduced the new products. We didn’t stop. We are moving on. Some of you may already notice that another company called Mooz is introducing their product, a product that’s almost the same as ours, except the appearance. Yes, they stole our idea. We’ve taken legal actions, but that’s not enough. We can’t let them take advantage of us, more importantly, of all the customers. Therefore, we introduced the new products and help you recognize who is the real creator. We were not doing enough in sharing information about production. That may be why you think we are not focusing on bringing the 3-in-1 3D printer to you. We’ll share more on Kickstarter, Facebook and this forum from now on. Thanks for your feedback. We’ll keep doing better. Of course all the products look great. 2.The option of selecting a set 3 in 1,or 2 in 1. I prefer laser engraver.and I’m interested in engraving with laser or cnc. I need precision. 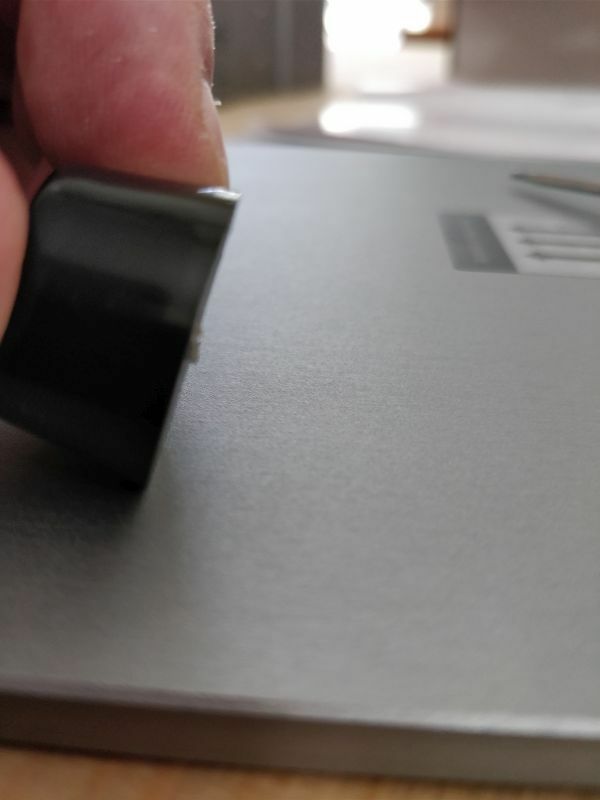 I use a cheap Chinese set laser engraving mashine. Of course I’m not happy with it. Of course, I will be monitoring your product news. Nice to see you in our forum. All your feedback is recorded and will be the basis of our survey. The survey will be sent out for user research. Feel free to look around and create new topics if you want. Just keep up the good work and keep exploring new things and addons for the 3-in-1 that is what makes me believe even more in you, that I can see that there is also a future for the product and it won’t just be outdated and bypassed by other companies. What would be great is if you can make an add on, say a big form version of the 3d printer that for the backers we can basically utilize what we have. I would like something with around a 10” x 10” x 12" build volume. I’m currently considering a printer like the CR-10 because I’m looking for the ability to print larger items. It would be great to know what upgrades will be available for 3-in-1 3D printer. I am extremely happy with mine and it seems to handle everything I throw at it. It would be great to increase the print volume. @Rainie: I can’t post new topics to the getting started or hardware thread. I want to remain a customer. I am happy with my Snapmaker v1.0. 3D Print Module v2.0 where the Filament has a guide so I don’t have to spend 20 mins changing filament. 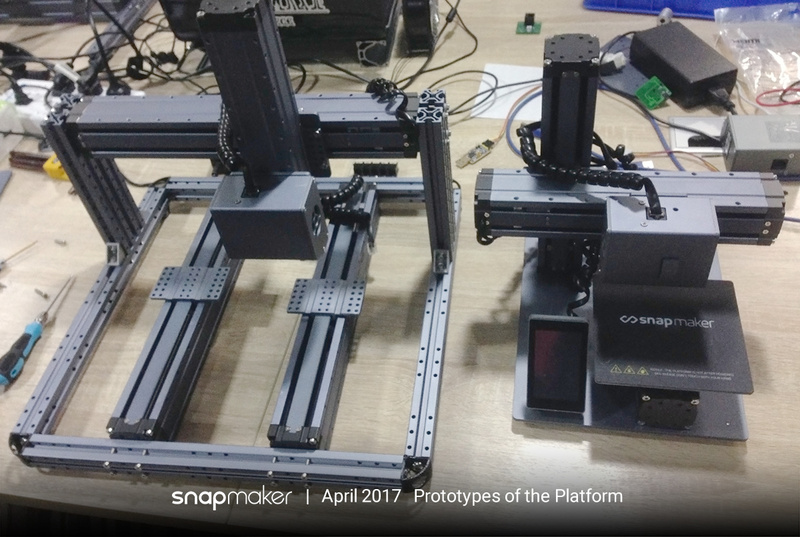 Snapmaker Platform, for larger prints (I suppose it’s just buying the stronger base and another linear actuator and reconfiguring my existing SnapMaker). a. 24V+/- out (Safely fused at 2A and isolated) so I don’t have to pigtail the input to power a LED lights/cooling fan/vacuum. c. WiFi and Camera so I can monitor my progress and receive REST API alerts when I need to (a) change filament, (b) print/carve/laser is complete, and thus do not need a RaspberryPi with Octoprint. e. Resume after Power Outage. @jnovack I am with you on those, especially the controller. 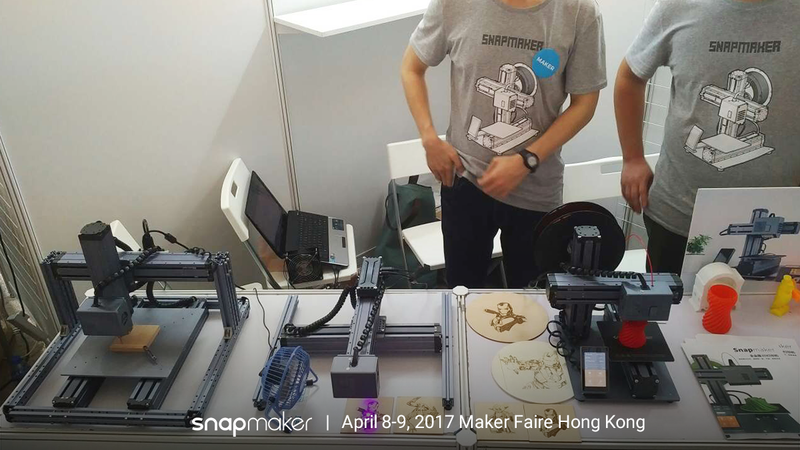 One of the values of the snapmaker is it’s modulatiry. It would be nice to have the V pinout of the unused port, or 1-2 SPARE ports and cables for things like part cooldown fans, lighting, etc.